Starting today, the Swedish National Heritage Board invites you to enjoy a choice of photographs by the Swedish botanist and landscape historian Mårten Sjöbeck, which we will upload to a new picture set on Flickr Commons during spring. The images, which are from the 1920s to about 1960, show landscapes and cultural environments, towns, buildings and ancient monuments, but also people and their domestic animals. 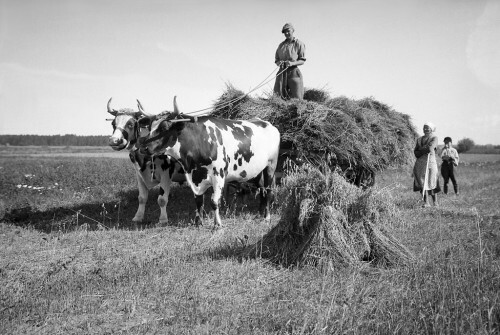 Many of the images are of special value and importance as a documentation of the vanishing ancient agricultural landscape, mostly in the southern and central parts of Sweden. Mårten Sjöbeck (1886-1976) lived in the province of Skåne (Scania) in southern Sweden, for instance in Helsingborg town. For economic reasons, he had to break off his studies in botany and geography at Lund University, and in 1909, he was employed at the Swedish State Railways as a clerc and later as Head of Division. He was commissioned by the State Railways to write about different Swedish provinces in a series of travel guide books, illustrated with his own photographs. Alongside his employment at the State Railways, Mårten Sjöbeck continued his scientific work. He was a pioneer in his theories about how thousands of years of human activities, as cultivation and pasturage, have shaped and developed the landscape. 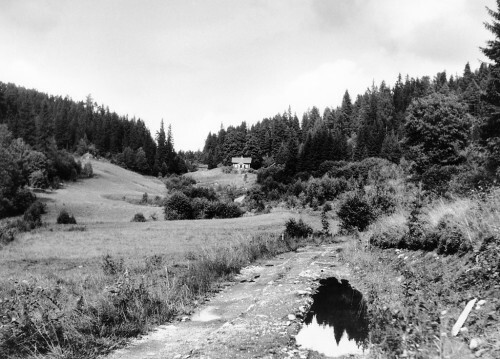 His research laid the foundation for landscape history as a field of science in Sweden, and he also had modern ideas about landscape preservation. In 1950, he received an honorary doctorate at Lund University, and he has been called ”the Linnaeus of Skåne” after the Swedish 18th century botanist Carl von Linné. 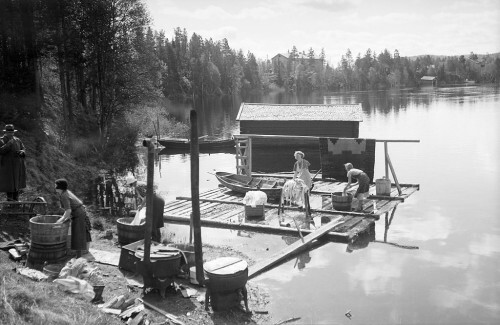 The archives of the Swedish National Heritage Board hold cirka 7.000 of Mårten Sjöbeck’s photographs. About 470 are digitized to the Board’s photo database online, ”Kulturmiljöbild”, and a choice of them will now appear on Flickr Commons. Mårten Sjöbeck had a sensitive eye for his motif, except for a great knowledge about what he chose to depict, why many of his images are of a rare photographic quality and beauty. Welcome to the world of Mårten Sjöbeck!